People gathered in front of St. Peter’s Basilica on March 13 after white smoke was seen puffing out of the Sistine Chapel’s chimney in the Vatican City. A new pope had been selected. Even though the weather was rainy and cold, thousands of people waited to see who the new pope was and to welcome him. The new pope greets people from the balcony of St. Peter’s Basilica. 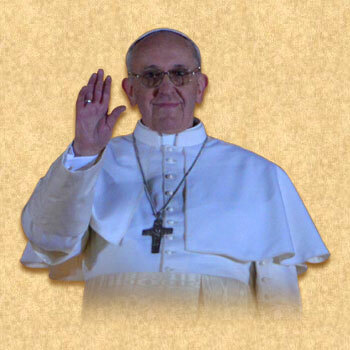 Jorge Mario Bergoglio, a 76-year old Cardinal from Argentina, was chosen as the new pope. Once a person is chosen as the pope, he gets to select a name for himself, and Bergoglio has chosen to be called Pope Francis. Usually the pope keeps the job until he passes away. However, the last pope stepped down because of health issues. This was the first time a pope had resigned in almost 600 years. The religion Christianity has various groups, and many of these groups have their own churches. Catholicism (also known as Roman Catholicism) is the largest Christian group with over a billion people, and they belong to the Catholic Church. The pope is the head of the Catholic Church, and lives in the Vatican City. After a pope passes away, or as in this case, after a pope steps down, the next pope is chosen by a group of special priests called Cardinals. The Cardinals work with the pope to run the Catholic Church around the world. One of the beliefs of the Catholics is that Jesus Christ had chosen one of his followers, Peter, as the leader of the church. The pope is the successor of Saint Peter, with Saint Peter being the first pope. Pope Francis is the 266th pope. It is also believed that Saint Peter is buried where the famous church of St Peter’s Basilica in the Vatican City stands today. The Cardinals gather at the Sistine Chapel, also in the Vatican City, to select the next pope. They have no communication with the outside world until they decide on the new pope. For a person to be selected as the pope, he has to receive at least two-thirds of all the votes. The Cardinals keep the outside world informed about the selection progress through regular smoke signals. Black smoke coming out of the chimney at the Chapel indicates that the pope has not been selected, while white smoke means that the Cardinals have chosen the next pope. A few tailors stand ready to fit the new pope with the pope’s clothes before he greets people. The Pope chose the name “Francis” after the famous Italian preacher St. Francis of Assisi. 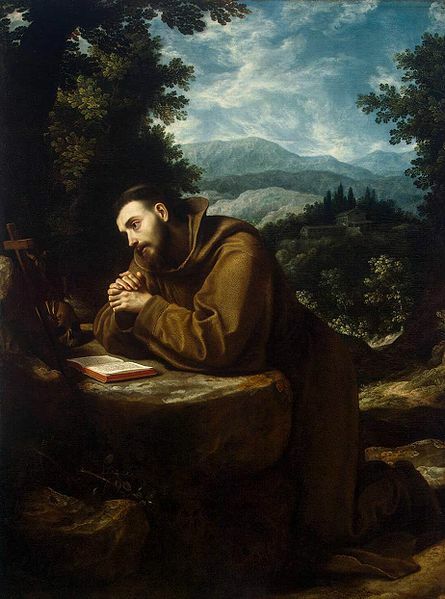 St. Francis was born into a wealthy family in the late 1100s. Around the age of 20, he left his life of comfort and devoted himself to the poor. He was also known for his love for animals and peace. St. Francis died in 1226 when he was around 40 years old. Before he became pope, Pope Francis lived a very simple lifestyle in Buenos Aires, the capital of Argentina. He lived in a small home and cooked many of his own meals. He took the bus to get around. Pope Francis had studied in the field of chemistry before he became a priest. The famous city of San Francisco in the United States is named after St. Francis of Assisi. The city got the name in 1840s, and was previously called Yerba Buena.